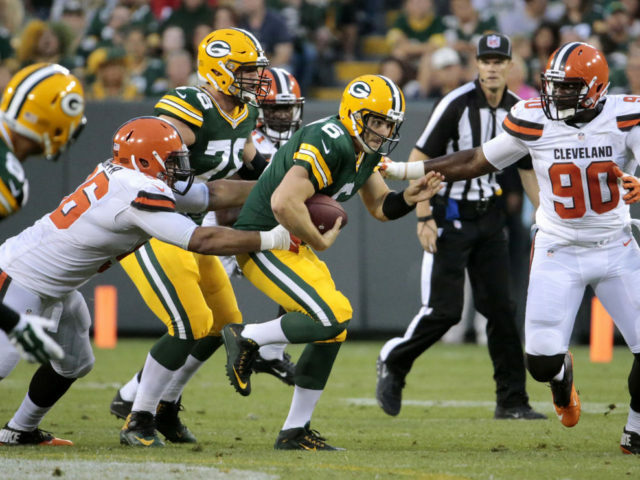 Following the cancellation of the Hall of Fame game last Sunday, the Green Bay Packers defeated the Cleveland Browns 17-11 in their first contest of the 2016 preseason. With Aaron Rodgers wisely being held out and Brett Hundley recovering from an ankle injury, it was rookie quarterback Joe Callahan who got the start for Green Bay. Despite a slow start, he was able to guide the Packers to a 10-5 advantage at halftime. The offense put together a 12-play, 46-yard drive to begin the game but could not capitalize on a running into the kicker penalty and Green Bay was forced to punt. Many of the offensive starters were pulled after the first drive, giving the backups the opportunity to prove what they can do. The remainder of the first quarter was marked by sloppy play from both teams. Browns quarterback Robert Griffin III, trying to get back to his rookie-year form, hit former quarterback Terrelle Pryor for a 49-yard pass to begin the game for Cleveland, but the Browns opening drive met a sudden end as they neared the Packers’ endzone. Micah Hyde picked off Griffin with a diving interception at the 1-yard line to end Cleveland’s opening drive. The Packers’ ensuing possession was short-lived, as the second string offensive line quickly gave up a safety following the interception. After the safety, the Browns mishandled Peter Mortell’s punt to give Green Bay the ball back. Mason Crosby knocked through a 54-yard field goal, his first of two made field goals in the game, to give the Packers a 3-2 lead at the end of the first. The Browns most effective drive came early in the second quarter. Backup Josh McCown put together a 10-play drive that appeared to result in a 25-yard touchdown pass to give Cleveland the lead, but the score was nullified by an illegal forward pass. The Browns settled for a field goal and a 5-3 advantage. Green Bay’s offense really did not start clicking until its final drive of the half. Leading the two minute offense, Callahan marched the Packers 80 yards, completing 8/10 passes in the process, and capped off the drive by hitting running back John Crockett from two yards out for the go-ahead score and a lead the Packers would not relinquish. Marquis Williams took over at quarterback in the second half for Green Bay, flashing his speed and mobility out of the backfield in his two quarters of play. He rushed for 29 yards, but completed just 6/15 passes and threw a red zone interception. Despite the small sample size, there were many positives to be taken from the Packers’ performance. Eddie Lacy, looking to rebound from his poor season a year ago, rushed for 24 yards on just four carries in his one series on the field. Callahan was efficient, completing 16/23 passes for 124 yards and a score without turning the ball over. Brandon Burks had a team-high 45 rushing yards in his first NFL action. The Packers’ tight ends combined for 11 catches after the team sought to address that position in the offseason. On special teams, Crosby connected on a pair of 54-yard field goals after signing a contract extension in the offseason. Similar to last season, one of the most noticeable issues was the play of punter Tim Masthay. Masthay averaged just 25 yards on three punts. UDFA Peter Mortell continues to make a case to be the team’s punter, averaging 43 yards on his three punts and pinning all three inside the 20 yard line. Defensively, inside linebackers Carl Bradford and Joe Thomas looked solid as they battle for a spot at the Packers’ weakest position. Kentrell Brice led the team with six tackles, and Datone Jones, Kyler Fackrell, Christian Ringo and Reggie Gilbert each recorded a sack. Green Bay also forced two Cleveland safeties in the game. Overall, Green Bay outgained Cleveland 320-172. and held a sizable advantage in time of possession. 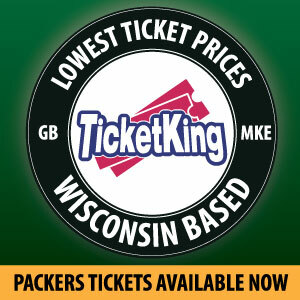 The Packers play their final home game of the preseason next Thursday against the Oakland Raiders as the team continues to fine tune itself in preparation for the season opener on September 11. This entry was posted in Uncategorized and tagged Joe Callahan, Marquis Williams, Peter Mortell. Bookmark the permalink.